Because sub-appellations are based in part on soil types, not all of the member of the Okanagan Falls Winery Association will be in the sub-appellation. No doubt, there will be a solution. Perhaps the wineries on the east side of Skaha Lake will come up with their own sub-appellation. Whatever the outcome, all of the producers have interesting wines which they showed off recently at their annual Vancouver tasting. Here are notes. Pinot Gris 2016 ($22). The wine is a basket of fruit, with aromas and flavours of pear, pineapple, peach and citrus. 90. Mixed Blessings Viognier 2016 ($22). Fermented and aged in stainless steel, this wine has aromas and flavours of stone fruit, with the classic mineral spine of the variety. The finish is crisp and dry. 91. Merlot 2015 ($26.99). This bold, ripe wine reflects the warm 2015 vintage. It has aromas of blueberries and black currants which are echoed on the palate, along with plums, chocolate and a hint of vanilla. 91. The Mavety family have been farming their Okanagan Falls property since 1972. Their vineyard, the largest in the region, is focussed on Burgundian varietals. All the wines are estate grown. Matt Mavety makes the wine and his sister, Christie (l), looks after the marketing. Chardonnay 2016 ($20.90). This wine begins with aromas of citrus, a hint of butter and very subtle oak leading to flavours of apple and citrus. This is a complex wine, rich on the palate but fresh on the finish, which lingers. 92. Gamay Noir 2016 ($22.90). This deep-hued wine begins with aromas of cherry, leading to flavours of cherry, mocha and spice. The wine is full on the palate, with a velvet texture. 90. Reserve Brut 2009 R.D. ($39.90). This elegant wine is 55% Chardonnay and 45% Pinot Noir, a classic Champagne blend. The wine was aged on the lees for six and a half years, was disgorged in August 16, and aged more than a year in bottle before release. The wine, which has a fine mousse, begins with aromas of brioche and apple which are echoed in the flavours, along with a hint of strawberry. Time on the lees has given this wine an appealing rich and creamy texture. 93. Crescent Hill is a small winery at the south end of Penticton, high above Skaha Lake. While the winery opened only recently, the vineyard is almost 40 years old. The winery pays tribute to Teresa Wiseman’s father, Glennallyn, who gets credit for planting Penticton’s first vineyard. She runs the winery with her partner, Russell. Glennallyn Private Reserve Gewurzztraminer 2015 ($NA). The richness and depth of this wine reflects the benefit of old vines. It has aromas and flavours of spice, orange zest and lychee. 90. Cristal’s Fault Riesling 2016 ($NA). This is slightly off-dry, with aromas of herbs and citrus echoed on the palate. 88. Curvy Gurl Chardonnay 2015 ($NA). This unoaked Chardonnay is juicy, with flavours of apples, peaches and melons. 88. Olde Orchard Muscat 2016 ($NA). The Muscat grape in this wine is Pearl of Csaba, one of the earliest white vinifera planted in the Okanagan. There is rose petal spice on the nose and absolutely a ton of tropical fruit on the palate. 90. Consensual Chaos 2016 ($NA). This is a Zweigelt rosé with a touch of Gewürztraminer to add spice to the strawberry and cranberry flavours. 89. Gerry and Sue Thygessen opened this Kaleden winery in 2010. The wines and the tasting room reflected a Roaring Twenties theme that resonates well in the wine shop but not so well in restaurants and wine stores, where the name is unlikely to be explained. 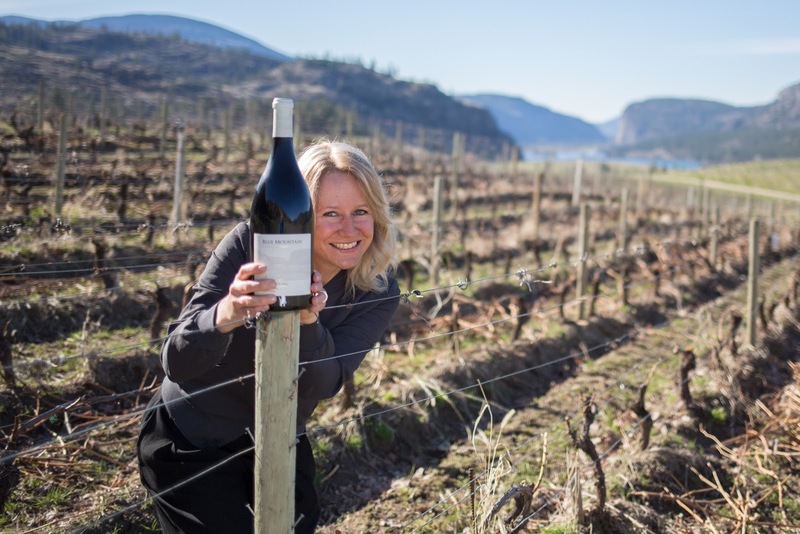 As a result, 90% of the wines now are sold under the more accessible Skaha Vineyard label. Skaha Vineyard Pinot Blanc 2017 ($21.25). This is a textbook Pinot Blanc – fresh and crisp, with aromas and flavours of fresh apples and with a bright finish. 91. Skaha Vineyard Unoaked Chardonnay 2017 ($21.25). This wine is also crisp and fresh, with aromas and flavours of apple and pink grapefruit. 91. Skaha Vineyard Cabernet Franc 2014 ($25.85). This is a bold and dark wine with brambly blackberry and cherry aromas and with layered flavours of dark fruit. 92. Skaha Vineyard Impulsion Reserve 2013 ($29.75). This is a blend of 60% Merlot and 40% Cabernet Franc, aged 24 months in French oak. It is a harmonious wine with a generous texture. It has aromas and flavours of black cherry and blackberry mingled with vanilla and chocolate. Ian MacDonald, formerly a businessman specializing in uniforms for Olympic events, now leads a group of investors who operate this winery. The wine shop houses a bistro and an art gallery. Winemaker Alison Moyes makes increasing artistic wines to match. Liquidity Estate Chardonnay 2016 ($26). Crisp and clean, this is a lovely fruit-driven wine. It begins with aromas of citrus and apple. On the palate, there is a medley of peach and ripe pear flavours. 90. Liquidity Estate Pinot Noir 2016 ($26). Dark in colour, this is an intense, concentrated Pinot Noir with aromas and flavours of cherry and vanilla and a hint of spice on the finish. There is a good cellar life ahead of this wine: I would recommend not opening it for another couple of years. 90-92. JAK (left) and Janice Meyer offered just Chardonnay when they debuted wines from a Naramata Vineyard in 2008. Then they bought a larger Okanagan Falls vineyard as well. Now, the winery produces 8,000 cases a year, including Pinot Noir and sparkling wine. And a budget Gewürztraminer because that variety was already planted. Extra Brut Methode Traditional ($40). Crisp and dry, this wine has flavours of lemon mingled with the bready notes of lees. 91. McLean Creek Gewürztraminer 2016 ($18). This is a refreshing wine with aromas and flavours of lychee, grapefruit and spiced herbs. 90. McLean Creek Chardonnay 2016 ($33). This was aged 11 months on the lees in French oak (20% new). It begins with aromas mingling lees notes with lemon and apple. On the palate, the wine is crisp, with bright acidity and with citrus flavours. 90. Reimer Vineyard Pinot Noir 2016 ($40). The grapes for this wine come from a fine Kelowna vineyard that now makes its own wine under the Mirabel label. The wine is bright, with aromas and flavours of cherry mingled with vanilla. The texture is silky. Nighthawk Vineyards, which is operated by Daniel and Christy Bibby, is located on a vineyard so near to Green Lake that the Gewürztraminer vines got an bath in this spring’s floods. With any luck, it will only mean a saving in irrigation for this three-year-old winery. Gewürztraminer 2015 ($19.90). This is a classic Alsace style wine, with spice, grapefruit and lychee aromas and flavours and a rich, concentrated palate. The finish is crisp and balanced to dryness. Chardonnay 2016 ($24.90). This wine has had eight months in French oak, just enough to impart a Burgundian personality. There are aromas and flavours of citrus and herbs mingled with a moderate touch of oak. The finish is crisp. 90. Pinot Noir 2015 ($24.90). This wine was aged in concrete with the result that the fruit flavours are bright – cherry and strawberry – while the finish is silky. 90. Cabernet France 2015 ($39.90). Here is another example of a winery raising the profile of a red variety that does so well in the Okanagan. This wine begins with aromas of blackberries and cherries that are echoed on the palate. The long, ripe tannins give the wine a generous texture. 92. Former Calgarians Leslie and Jim D’Andrea opened this winery in 2005. Several years ago, when Jim retired from practicing law, they moved to a home on site, with great views of vineyards and Vaseux Lake. “The One” Sparkling Wine 2014 ($39.90 for 310 cases). The is a traditional method sparkling made with 82% Chardonnay and 18% Pinot Noir. The wine spent 27 months on the yeast lees before being disgorged. The wine begins with aromas of biscuits and citrus, leading to flavours mingling biscuit, apple and citrus. The bubbles give it a creamy texture. The finish is crisp and fresh. 92. Pinot Grigio 2016 ($19.90 for 422 cases). The wine begins with aromas of pear and apple, echoed on the palate. The winery describes this as “surprisingly voluptuous” – and I would agree. It should be labelled Pinot Gris, except that this has become something of a brand in the Noble Ridge portfolio. 89. Mingle 2016 ($19.90 for 637 cases). This is almost sold out and will soon be succeeded by the 2017 vintage. Mingle has always been an appealing white blend. This vintage is 45% Chardonnay, 29% Gewürztraminer and 26% Pinot Gris. The Gewürztraminer contributes spice in the aroma and the palate. The other varietals add texture and flavours of apple and grapefruit. 90. Stony Knoll Chardonnay 2016 ($24.90 for 486 cases). This is also almost sold out. The wine is fruit forward with flavours of citrus, apples and peaches. It was fermented 94% in stainless steel and 6% in year-old barrels, primarily to contribute texture. 90. Reserve Chardonnay 2014 ($29.90 for 300 cases). Almost sold out, this award-winning wine was fermented in stainless steel, not allowed to have malolactic fermentation and aged 14 months in French oak ($20% new). Aromas and flavours of toast and vanilla mingle with mandarin orange and almonds. The finish lingers. 92. Estate Meritage 2016 ($24.90). The wine has aromas and flavours of black currant and black cherry with notes of vanilla and chocolate on the long finish. 90. Reserve Meritage 2015 ($34.90 for 750 cases). This is 77% Merlot, 19% Cabernet Sauvignon, 2% each of Cabernet Franc and Malbec. The wine was aged 15 months in French (75%) and American (25%) barrels, of which 40% were new. This is a bold wine, with 15% alcohol reflecting the hot vintage. Aromas of blackberry and blueberry jump from the glass, leading to richly satisfying flavours of dark fruits, chocolate and tobacco. 93. This winery opened in 2009 on a vineyard overlooking Skaha Lake. It is also near the Skaha climbing bluffs. Painted Rock arguable has the most elegant tasting room among this group of wineries. You can sometimes find owner John Skinner holding court here. Merlot 2014 ($34.99 for 1,356 cases). This is a bold (15.2% alcohol), richly flavoured and concentrated Merlot. It was aged 18 months in French oak (30% new). It begins with aromas of spicy red fruit, leading to flavours of black cherry, blueberry, mocha and vanilla. 92. Cabernet Franc 2015 ($44.99 for 400 cases). This is a wine remarkable for its power (15.3% alcohol) and intensity of flavour. Aromas of cassis, blackberry and cherry bound from the glass, followed by a rich medley of red fruit on the palate, including cherry, blackberry and raspberry. The hint of mocha on the finish supports a lush texture. 93. Syrah 2015 ($39.99). This wine delivers terrific fruit aromas and flavours – black cherry, blackberry and fig, with notes of leather, vanilla and pepper. The wine was aged 18 months in barrel (30% new), of which 80% was French oak and 20% American oak. 92. Red Icon 2015 ($54.99 for 1,487 cases). This blend is 45% Merlot, 24% Cabernet Franc, 11% Malbec, 11% Petit Verdot and 9% Cabernet Sauvignon. This wine begins with aromas of black cherry, cassis and vanilla which are echoed in the flavours. The texture is rich and concentrated, backed by long ripe tannins. On the finish, mocha and coffee mingle with spicy dark fruit. Decanting helps open up the aromas and flavours. It would be preferable to let it blossom in bottle for five or 10 years before opening it. 94. Julie Rennie and Paul Gardner (left) opened this winery in 2003 on a vineyard high above Skaha Lake. The signature feature here, aside from excellent wines, is the cave that Paul blasted from solid rock, a work that consumed about 10 years of labour. If no tour is available, you can always peer in through the massive windows in the aircraft-hanger-sized door. Pinot Gris 2016 ($20). This crisp wine has aromas and flavours of pear and citrus. 90. Viognier 2015 ($23). The wine was fermented and aged half in stainless steel and half in older French oak for about eight months. The wine has aromas of citrus, pear and stone fruit that are echoed on the palate. 90. Syrah 2013 ($26). This wine was aged 15 months in oak and a further two years in bottle before release. Time has polished the tannins. The wine has aromas and flavours of fig and black cherry with notes of spice and black pepper punctuating the finish. 92. Pentâge 2012 ($35). This is 43% Cabernet Sauvignon, 32% Cabernet Franc, 18% Merlot, 5% Petit Verdot and 2% Syrah. It has aromas and flavours of dark fruit mingled with dark chocolate, tobacco and toasted oak. 91. This winery’s attractive wine shop and restaurant are perched on a Penticton hillside overlooking the north end of Skaha Lake. The labels are replete with theatrical references because one of the ownership group, the Pechet family of Calgary, operate Stagecoach Theatre. The partner at the winery is sommelier Mohammed Awad (right). Ad Lib 2016 ($20). The wine is 75% Sauvignon Blanc, 25% Sémillon. Crisply dry, the wine begins with herbal and spicy aromas, leading to flavours of lime and a hint of anise on the finish. 89. Moscato 2016 ($20). This crisp and refreshing Muscat wine has spicy aromas with flavours of spice and lime. 90. Improv 2015 ($25). The blend is 55% Merlot, 20% Syrah, 17% Cabernet Franc and 8% Cabernet Sauvignon. The wine has a mouth-filling texture with flavours of black cherry, tobacco and vanilla. 90. Applause 2015 ($40). The blend is 55% Cabernet Sauvignon, 25% Cabernet Franc and 20% Merlot. This wine was aged in oak for two years, polishing the texture. Full-bodied, the wine has aromas and flavours of dark fruits with a touch of dark chocolate. 91. High on the side of Hawthorne Mountain and backing onto a high elevation vineyard, Sea Ya Later Ranch offers visitors stunning views over Okanagan Falls and the valley. It also maybe the most pet-friendly winery in the valley. One of the former owners of the property was a dog lover. The 12 dogs he owned all were buried here under headstones. The names of some of the dogs, like Ping, now appear on wine labels. The winemaker is David Saysomsack (left). Riesling 2016 ($16.99). The wine is crisp, with tangy notes of lemon mingled with good minerality. 90. Pinot Gris 2017 ($16.99). Appealingly fresh, with aromas of pears, peaches and ripe apples. 90. Pinot Noir 2016 ($19.99). There is three per cent Zinfandel in this wine, presumably to darken the colour. The wine has a juicy texture, with aromas and flavours of cherry and ripe strawberry. 90. Ping Meritage 2015 ($24.99). This is a good value Meritage. It begins with aromas of cassis and black cherry, leading to flavours of black cherry, black currant, chocolate and vanilla. The long, ripe tannins help make the wine easy to drink. 90. This Okanagan Falls winery which opened in 1995 has been expanding its portfolio in recent years with Italian and Spanish varietals. Stag’s Hollow is one of just two wineries with Dolcetto. Winery owners Larry Gerelus and Linda Pruegger are among a group of wineries from around the world who have been invited to pour Dolcetto at big tasting in Italy in May while winemaker Dwight Sick (right) minds the store. Albariño 2017 ($18.99). The wine begins with floral and citrus aromas that lead to intense flavours of lime and grapefruit mingled with herbs. 91. Dolcetto 2016 ($21.99). Dark in colour, the wine has aromas of cherry and raspberry which are echoed on the palate. There is an intriguing hint of almond on the finish. 91. Pinot Noir 2015 Shuttleworth Creek Vineyard ($25.99). When this vineyard was planted in 2012 and 2013, Stag’s Hollow made a big bet on Pinot Noir, planting five clones. The bet is paying off. This is bright, vibrant wine with aromas and flavours of cherry and strawberry and a silky texture. 91. Renaissance Pinot Noir 2014 ($30). This bold, intense wine begins with aromas of cherries and strawberries mingled with notes of earth and spice. Savoury flavours of plum and black cherry framed by oak make a statement on the palate. The wine, which was aged 13 months in French oak (50% new), is age-worthy. 92. This small winery is about to get bigger. Last year, proprietor Alan Dickinson (left) bought 102 acres of raw land adjoining Synchromesh’s five-acre Storm Haven vineyard. This year, he will begin planting about 30 acres, primarily with Riesling and Cabernet Franc, the signature varieties at Synchromesh. The remainder of the land, which wraps around Peachcliff Mountain, will remain a nature preserve. Riesling 2017 ($23). This wine is a blend of the four vineyards from which Synchromesh draws Riesling grapes (three on the Naramata Bench plus the estate vineyard). It begins with aromas of lemon and lime. These are echoed on the palate along with flavours of pineapple and apple. In the signature Synchromesh style, the wine balances 42 grams of residual sugar with 10.3 grams of acidity to deliver bold flavours and a tangy finish. 91. Riesling 2017 Storm Haven Vineyard ($40 for 186 cases). Here, 53.5 grams of residual sugar are balanced with 11.4 grams of acidity, almost creating a tension on the palate and a finish that, remarkably, is dry. The aromas and flavours are intense: lime, lemon, grapefruit and ripe mango with a backbone of minerality. 93. Cabernet Franc 2016 Cachola Family Vineyards ($28 for 487 cases). This vineyard is just north of Oliver. In style, this vibrant and fresh red recalls Loire Valley reds. It has aromas and flavours of blackberry, raspberry and cherry. 92. Tertre Rouge 2014 Turtle Rock Farms ($40 for 200 cases). Motor racing fans – Alan Dickinson’s father once raced sports cars – will know that Tertre Rouge is a famed corner at Le Mans. This is “where perfect driver balance and finesse are key to a clean exit leading to one of the longest straightaways in motor racing,” the winery explains. It is a simile for this long-lived wine, a blend of 54% Merlot and 46% Cabernet Franc aged 20 months in French oak (45% new). The winery describes it aptly as a dark and brooding wine with flavours of brambly, dark fruit. 92. I ran out of time to stop at this table but I will visit the winery this year. The wines never disappoint. More often, they sweep you away with their quality. Visitors to the winery in recent years also have been able to enjoy the food at the Smoke & Oak Bistro, with a patio overlooking vineyards. That is more than a little surprising, given that the Greeks have been making wine for thousands of years, probably longer than the Romans. Yet Italian wines are widely available while Greek wines are scarcer in wine stores than hen’s teeth. The BC Liquor Distribution Branch, for example, lists nine Greek products (including two spirits and one retsina) compared with 544 Italian products. John Cleredis, a Vancouver wine merchant of Greek heritage, has just done something to rectify that shocking oversight. After a recent visit to a wine fair in Greece, he has imported 24 Greek wines for his Marquis Wine Cellars store, one of the oldest and best private wine stores in Vancouver. “There are three or four or five more producers I want to bring in but I need to start slowly,” he said recently at a luncheon where he introduced one of the producers, Domaine Skouras, and its export manager, Yorgos Svanias. Five wines were served at the luncheon, including two excellent wines from Skouras. John’s timing may be spot on. In a world where wine consumers seem to be looking for something new, Greek wines are ready to be discovered. There are several reasons why Greek wines are not yet widely available. Most of the 500 wineries in Greece are small, lacking enough wines to export. There are perhaps five large producers in international markets. The brands familiar to consumers would include Boutari, Achaia Clauss and Tsantali. Domaine Skouras, founded in the 1980s, is one of twenty or so medium-sized producers that make between one million and two million bottles a year. The Greek financial crisis that began a decade ago has given producers some incentive to export and develop new markets. Recently, groups of producers have been active in Quebec and Ontario, and in the United States, the largest overseas market for Greek wines. To develop export sales, the Greeks need to overcome the perception left by bad retsina and mediocre table wines of a generation ago. The fact is there has been a sea change in the quality of Greek wines as a younger generation with better training has taken over wineries and vineyards. Greeks have the advantage, and perhaps the disadvantage, that their wines are made with indigenous grape varieties not grown elsewhere. This gives the wines aromas and flavours that are distinctive, pleasantly so. If you are bored with, say, Chardonnay, how about a bottle of Preknadi White? If you want a change from Cabernet Sauvignon or Merlot, how about a bottle of Agiorgitiko? Agiorgitiko is the most widely planted red variety in Greece, making wines whose styles range from Beaujolais to Chianti. This variety eases into export markets under the name, Saint George, which appears to be a translation of the Greek name for the variety. There is another complicating factor: most consumers outside Greece are unlikely to distinguish between a grape name on the label and the protected designation of origin. One of the wines at Marquis from Diamantakos is Naoussa Red ($50). Naoussa is a designated viticultural area in northern Greece. In fact, it was the first region in Greece to get its own appellation (in 1971). The major red grown here is Xynomavro. The Naoussa reds have a fine reputation and are sometimes compared with Nebbiolo wines from Italy. As challenging as the Greek names seem, it is well worth the effort to become familiar with them. Some consumers in British Columbia appear to have made the effort. One of the wines listed here is a Boutari Naoussa ($17.49). Boutari also lists, at the same price, one of the important white Greek varieties: Moschofilero (also spelled Moscofilero). The wines from this variety are fresh and crisp, with aromas and flavours recalling Muscat, even though the variety is not related to the Muscat family. The wines offered at Marquis generally are priced from $26 to $60 a bottle. Clearly, John Cleredis selected premium wines to represent the new Greece. Here are notes on the five tasted at lunch. Domaine Skouras Moscofilero 2016 ($32.95). This wine has aromas of rose petals, spice and orange peel, leading to flavours of citrus and peach. Bright acidity gives the wine a crisp, refreshing finish. 91. Diamantakos Preknadi 2016 ($43.39). Preknadi is a native Greek varietal that was on the verge of extinction when George Diamantakos rescued it. The wine is rich on the palate, with flavours of melon and apple. The finish is dry. A complex white. 92. Diamantakos Naoussa Red 2013 ($50.34). George Diamantakos makes just two wines – and he makes them very well. This is a bold red, with aromas of figs, plums and black cherry that are echoed in the flavours. The texture is full and the flavours are still fresh. 92. Domaine Skouras Nemea Saint George 2014 ($34.69). This is a medium-bodied red reminiscent of a fine Chianti. It has aromas and flavours of cherry. 91. Tetramythos Roditis Nature 2016 ($37.30). Roditis is the most widely planted white varietal in Greece. This wine was made in ancient amphorae. It is crisp and fresh with a spine of minerality. The complex flavours mingle herbs, honey, melon and apple. 91. The 2017 releases from Sea Star Vineyards and Winery show a significant increase in the volume of rosé, some 337 cases more than in 2016. That is the first tangible benefit from last year’s decision by Sea Star owner David Goudge to acquire Saturna Island Vineyards. Sea Star is on Pender Island. It was the closest, and most logical, winery to take over Saturna where, in spite of a 38-acre vineyard, no wine had been made for a number of years. 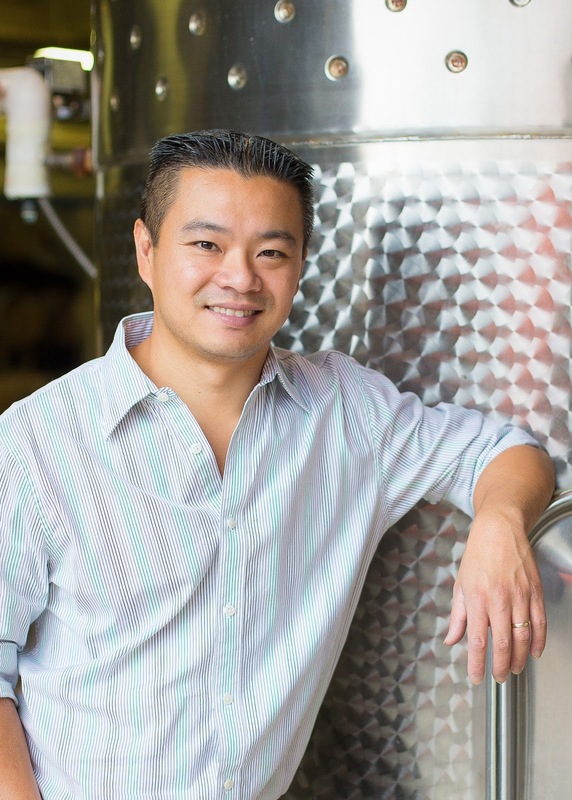 The Saturna Island winery was conceived by Vancouver securities lawyer Larry Page. The vineyard was planted between 1995 and 2000. The winery itself struggled, in part because Saturna Island is not readily accessible to wine tourists and in part because a succession of winemakers led to an unfocussed portfolio. No wines have been bottled there since the 2012 vintage. Since the last winemaker there was injured on the job, the vineyard has fallen into disarray. The unpruned vines are so tangled that a tractor could not be driven between most rows. The vineyard and winery, once advertised for $15 million, were finally available at a fraction of the price. Sea Star opened in 2014, two years after David purchased the assets of Morning Bay Vineyard & Estate Winery, which was also struggling at the time. The turnaround by David and his winemaker, Ian Baker, was so successful that Sea Star soon was scrambling to find enough grapes to meet the demand for its wine. The Saturna Island vineyard will resolve that problem, at least in time. Sea Star Salish Sea 2017 ($23 for 600 cases). This is a blend of Ortega and Siegerrebe. There is a lightly spicy aroma leading to a medley of fruit flavours, including grapefruit and cantaloupe. 90. Sea Star Pinot Gris 2017 ($23 for 189 cases). The wine begins with aromas of pear, pink grapefruit, with a note of herbs and spice. On the palate, there are flavours of melon and pear mingled with a hint of lemon. The texture is full while the finish is crisp and dry. 90. Sea Star Siegerrebe 2017 ($22 for 289 cases). This aromatic wine begins with aromas of lemon, lime and spiced rose petal, which are echoed on the palate along with flavours of lychee. The finish, which lingers, is refreshing and balanced to dryness. 90. Sea Star Stella Maris 2017 ($24 for 431 cases). This is a blend of Gewürztraminer, Pinot Noir, Pinot Gris, Riesling, Ortega and Schönburger. This is a complex wine, with layers of aroma and flavours. It begins with aromas of citrus, fresh apple and spice and it delivers flavours of apple, peach, pink grapefruit and melon. 92. Sea Star Blanc de Noir 2017 ($24 for 1,156 cases). This is made with grapes from both the Clam Bay Vineyard on Pender Island (a neighbour to the Sea Star vineyard) and the recently acquired Saturna Island Vineyard. The delicate pink hue mirrors the trend to light-coloured rosés that is in fashion. It has the silky texture of Pinot Noir with good weight on the palate. It has aromas and flavours of strawberry and a dry finish. 91. The most recent six-wine release by Quails’ Gate Estate Winery are all from the superb 2016 vintage. Several factors made the vintage as good as it proved to be. To begin with, the winter of 2015/2016 was relatively mild and the vines came through it without any bud damage. BCWI added: “GDD remained ahead of any other year with temperatures reaching the mid to high 30s until the week of June 19 when the weather changed.” The temperatures were moderate, but ideal for vine growth, until a more typically warm August arrived. Without the blistering heat that often occurs in July and August, grapes matured more gradually, retaining good fruit flavours and natural acidity. The bonus for the growers: the early spring and the benign growing conditions delivered tonnages of healthy grapes that were larger than expected. There are bountiful volumes of 2016 wines. 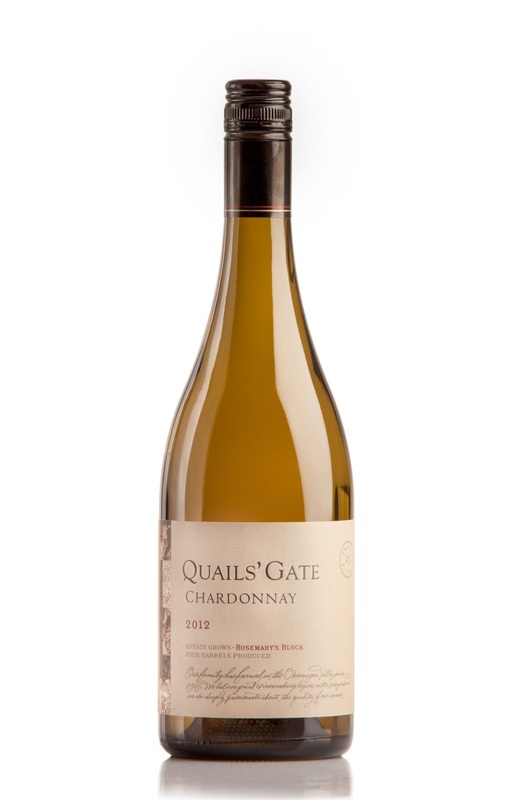 Quails’ Gate, for example, has been able to release more than 10,000 cases of its estate Chardonnay – and that does not count the volumes of reserve Chardonnay. “Because of the early heat, veraison came about two weeks early for some, but was reported as protracted,” BCWI said. “Unlike summers past [or unlike 2017], forest fires were not an issue for grape growers” in 2016. The vintage was not entirely trouble free – none ever is – but, for the most part, it gave winemakers the tools to make first rate wines. And Nikki’s wines do the vintage proud. Quails’ Gate Stewart Family Reserve Chardonnay 2016 ($39.99 for 2,345 six-pack cases). This wine was fermented in French oak barrels (new and used),where it went through malolactic fermentation and regular battonage (stirring of the lees). The wine begins with appealing buttery aromas mingled with notes of oranges. On the palate, the texture is rich, almost creamy, with flavours of tangerine and ripe nectarine. The intensity of the flavours increased as the wine warmed in the glass. 93. Quails’ Gate Rosemary’s Block Chardonnay 2016 ($44.99 for 685 six-pack cases). This wine, along with the Richard’s Block Pinot Noir, are premium small lot wines available just at the winery. The grapes are from the two best blocks of Chardonnay in the vineyard. They get the full treatment: whole-cluster pressed into new and older French oak barrels. The wine was fermented in barrel where it went through full malolactic fermentation and was aged 11 months on the lees. It was stirred regularly. One word describes the memorable wine: rich. The wine begins with complex aromas of citrus, ripe peaches, cloves and toasted almonds. The layered flavours include ripe apple, butter, and tangerine. Bright acidity balances the power of this wine, leaving a lingering and refreshing finish. 94. 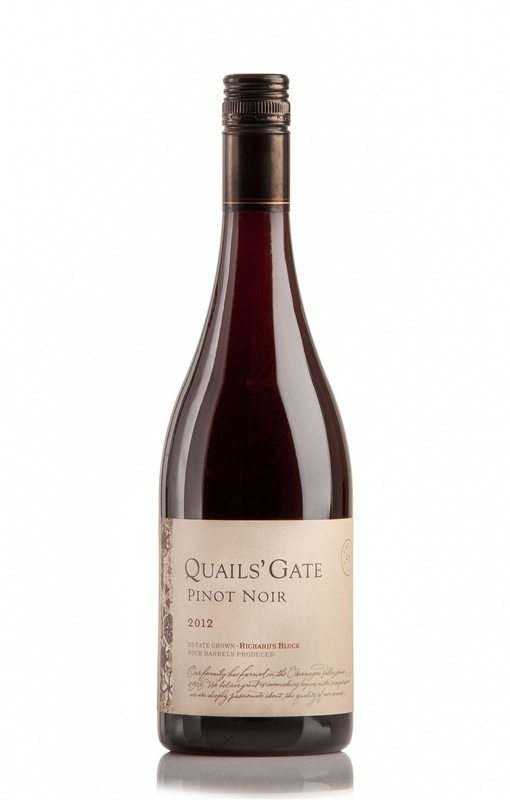 Quails’ Gate Pinot Noir 2016 ($26.99 for 5,450 cases). This wine was aged 10 months in French oak, long enough to polish the silky texture without imparting noticeable wood to the intense red berry aromas and flavours. Medium-bodied, the wine has good length and a long finish. 90. Quails’ Gate Stewart Family Reserve Pinot Noir ($49.99 for 2,208 six-pack cases). The style of this wine leans less to the power of the Richard’s Block and more to elegance. It begins with aromas of plum, cherry and spice that lead to dark cherry flavours on a firm palate. Still youthful, the wine, which was aged 10 months in French oak, should be decanted to immediate consumption. The better idea would be to lay it down. It should peak within a decade. 92. Four years after opening its tasting room on Abbotsford’s Mt. Lehman Road, Singletree Winery plans to open a winery and a second tasting room on Naramata Road by mid-year. It is only the second winery in BC with wine shops in both the Fraser Valley and the Okanagan. The other is Township 7 Vineyards & Winery, which has a winery in Langley that opened in 2001 and a second outside Penticton that opened in 2004. Singletree has just acquired Ledlin Family Vineyards, a small winery that opened last summer on Naramata Road. In January, Fred and Erica Ledlin, the owners, listed the winery for sale at $1,850,000. Singletree has not disclosed what it paid. Singletree was opened in 2015 by Andrew Etsell, his wife, Laura Spreckel, and Andrew’s parents, Garnet and Debbie. It is located on a vineyard where planting began in 2010. Now 13 acres in size, it grows Siegerrebe, Pinot Gris, Pinot Noir, Chardonnay and what may be the only planting of Grüner Veltliner in the Fraser Valley. Singletree’s first five vintages, 2013 through 2017, have been made at the Okanagan Crush Pad Winery in Summerland. As production has grown – Singletree made 3,500 cases of wine in 2017 – the Etsells began planning a processing facility on their Mt. Lehman property, where they already have a tasting room. In January, they began looking at wineries in the interior that were for sale. The Ledlin property appealed because it is on Naramata Road, one of the Okanagan’s best locations for wine tourism. As well, Singletree has major grape contracts with vineyards on the Naramata Bench. “It was an easy decision to choose Naramata,” Andrew says. The Ledlin winery had been started by Fred Ledlin, a former professional hockey player (18 years in Europe) and then a Vancouver builder. Several years ago, he and Erica, looking for a summer residence in the Okanagan, came across this five-acre property on Naramata Road, which was in receivership. The 3.5 acre vineyard was being uprooted just as they bought the property. They managed to save 14 rows of Merlot and Pinot Gris and decided to replant the remainder with Cabernet Franc and Pinot Blanc. The winery opened last summer with wines from the 2015 and 2016 vintages, made with estate fruit and with purchased grapes. Wine was also made in the facility in the fall of 2017. Singletree, with its own flourishing brand, decided not to buy any Ledlin inventory. The Etsell family to add additional equipment to the 2,000-square-foot Ledlin facility, with plans to double the size next year to accommodate Singletree’s growing production. Andrew also plans upgrades to the vineyard, although there is little additional acreage suitable for vines. “There were plans to build a house there,” Andrew says. “We are not planning to build a residence there. We will be based out of the valley here.” Two rooms in the Ledlin winery that had been designed as bed and breakfast suites will be used by the new owners and their staff. Singletree Naramata Bench, as the Etsells plan to call their winery, gives them the opportunity to expand sales exposure for their wines. The intent is to have Fraser Valley wines available there as well as Singletree’s Okanagan wines. Singletree has just begun to release its 2017 wines, which were made by Andrew and consulting winemaker Matt Dumayne. Andrew, who trained in horticulture, has mentored with Matt and has taken professional winemaking courses. Singletree Pinot Gris 2017 ($17.30). The estate-grown fruit was fermented and aged in stainless steel. The purity of focus is remarkable: crisp, fresh aromas and flavours of citrus and pear with a lively finish. 91. Singletree Sauvignon Blanc 2017 ($17.30) While previous vintages had been fermented and aged in barrel, this wine – again from estate-grown grapes – was fermented and aged in stainless steel. Once again it shows a laser-like brightness, with aromas and flavours of lime and lemon. The finish is tangy. 90. Singletree Grüner Veltliner 2017 ($17.30). This is the winery’s second vintage of estate-grown Grüner Veltliner. It is a late ripening Austrian white that delivers plenty of flavour and aroma from a Fraser Valley terroir. It begins with aromas of grapefruit and herbs, leading to flavours of lime, grapefruit and cantaloupe. The wine has good weight on the palate. 91. Singletree Sieggie 2017 ($16). This Fraser Valley-grown Siegerrebe, arguable Singletree’s flagship varietal. The wine begins with aromas of spice and citrus. On the palate, it is a bowl of tropical fruits – lychee, grapefruit and melon – with a juicy texture and a crisp finish. 91. Singletree Rosé 2017 ($19.48). This wine is made with organic Pinot Noir from a West Kelowna vineyard. The wine has a delicate pink hue with aromas and flavours of strawberry and rhubarb. The finish is tangy and crisp. 91. Singletree 2016 Wild Siggy ($21.60). Fermented on the skins with wild yeast, this is Singletree’s natural wine. I have never been a big fan of natural wines but this is one I would drink with pleasure. The wine has a light gold hue, dramatic aromas of citrus and honey that lead to flavours of peach and pear. Rich in texture, the wine finishes with spice notes. 91. Singletree Pinot Noir 2015 ($21.66). The wine is made with grapes from the Lazy Dog Vineyard on the Naramata Bench. Dark in colour, the wine was aged 11 months in new French oak. Subtle notes of oak mingle with aromas and flavours of cherry. The wine also has some of the classic forest floor notes of Pinot Noir. 91. Singletree Merlot 2016 (not yet released). The wine is approachable now but Andrew will age it in bottle until the fall, allowing further development of the cassis aromas and flavours of black currant and black cherry. The texture is full and the finish is long. 92. Singletree Harness 2014 ($30.35 for 275 cases). This is blend of 51.3% Merlot and 48.7% Cabernet Sauvignon. Made with grapes from a great red vintage, this wine was aged in barrel for 18 months. It begins with aromas of cassis, black fruits and spice leading to flavours of blackcurrant and black cherry mingled with notes of leather and chocolate. 91. The new releases from 50th Parallel Estate are interesting for two reasons: they offer a glimpse of the 2017 vintage and also of the work of Matthew Fortuna, the new winemaker. The winery elaborates: “The valley’s water basin experienced a heavy snowfall during the winter and then a large deluge of rain early in the spring.” The snow melted quickly, causing serious flooding in the valley. That set the stage for one of the worst forest fire years. “These fires were so large that they caused a frequent haze in the valley which diminished light and blocked out some of the sun’s intense energy,” the winery said. Fortunately, 50th Parallel and other wineries in Lake Country did not experience heavy smoke events. There is no smoke taint in the wines. “In fact, as we reflect on the season, we believe that the less intense smoke may have helped the vintage, as the temperatures were moderated from what may otherwise have been a very drought-like year,” the winery says. The yields in 2017 were lower than the 2016 yields (a bounteous year) but the quality of the grapes turned out well. Matt Fortuna had good fruit to work with. Formerly the assistant winemaker at 50th Parallel, he took over last year from Grant Stanley, the winemaker since 2013. Grant was on hand to consult with 50th Parallel last year but he was transitioning to the cellar at SpearHead Winery. “I have been working with Grant for 10 years, going back to the Quails’ Gate days,” Matt told me last year. Matt was born in Niagara Falls in 1981 and was exposed to wines, notably wines of Ontario, while working in hotels there. In 2007, he volunteered to work a harvest at Quails’ Gate Estate Winery. That turned into his winery career. It goes without saying that there has been no abrupt change of style in the 2017s. Here are notes on the wines. 50th Parallel Pinot Gris 2017 ($19.90 for 2,495 cases). This is perhaps 50th Parallel’s signature white wine and it is available in good volume. It begins with aromas of peach and apple leading to a bowl of tropical fruit flavours on the palate. A small portion of the wine was barrel-fermented, adding a backbone of toastiness to the wine. Just a hint of residual sugar adds flesh to the texture. The finish is refreshing. 90. 50th Parallel Gewürztraminer 2017 ($19.90 for 1,244 cases). In recent years, a lot of us have been tiring of Gewürztraminer. Too many lack personality – but that is not so with 50th Parallel. This wine begins with aromas of rose petals, spice and citrus. It leads to mouth-filling flavours of lychee, oranges and spice. The touch of residual sugar is well balanced. The wine has good texture with a long, fresh finish. 91. 50th Parallel Riesling 2017 ($19.90 for 777 cases). This wine was bottled in February and seems to be taking its time in recovering from bottle shock. Buy it and lay it down for a few months, even a year, to unlock the potential. It has aromas of citrus and flavours hinting of lime and green apple, with a spine of minerality. The numbers are excellent to a Riesling to age: 7.5 grams of residual sugar and 8.2 grams of acidity. 90-92. 50th Parallel Pinot Noir Rosé ($19.90 for 1,031 cases). The wine’s pink salmon hue invites you immediately. It begins with aromas of strawberries and raspberries, leading for flavours of strawberry and watermelon. The wine is juicy on the palate and crisp on the finish. 91. 50th Parallel Chardonnay 2016 ($35). This is a lovely wine, beginning with aromas of citrus and butter. These lead to flavours of tangerine, apple and nectarine with a subtle accent of oak. The bright acidity of the 2016 vintage gives lift and freshness to the wine. 92.